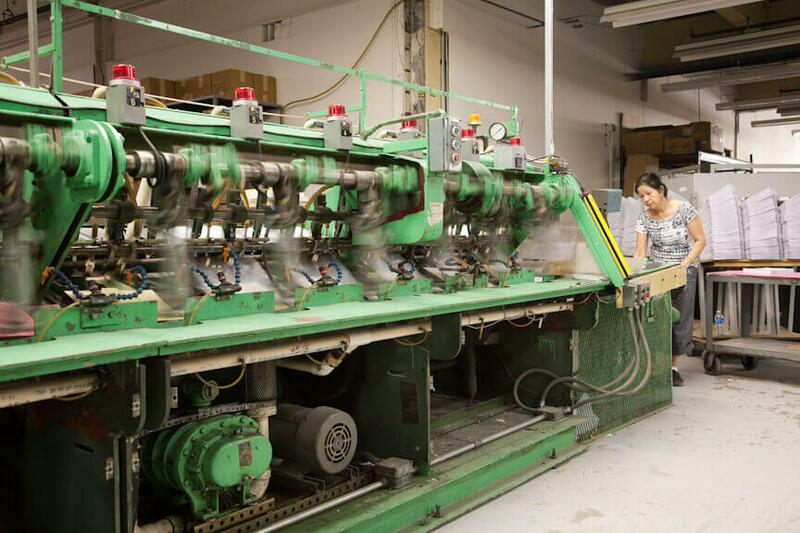 The green monster: Our eighty-foot custom-built collator handles sheets of varying weights, sizes, shapes and finishes, with no doubles or misses. Work that other shops would have to do by hand we can collate automatically. Five 6-tower Horizons tweaked by our plant mechanic—the former lead mechanic at Horizon—to run at maximum speeds without doubles or misses. Unparalleled tab-cutting machinery: Bob Ostwald, a brilliant engineer, modified all of our tabbing equipment to run at unheard of speeds with nearly zero waste. No printing challenge is too big or too small. 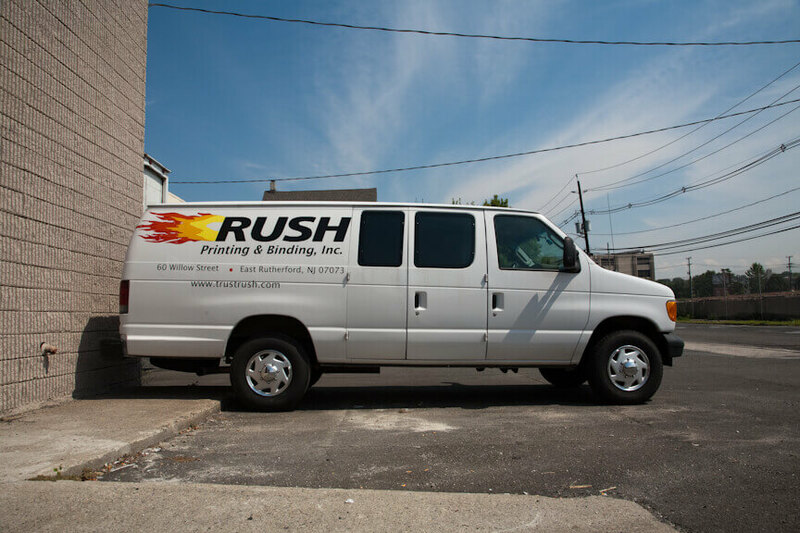 We have a wide range of copiers and high-speed web presses. Back-up equipment and redundancies for every machine and function. A seasoned, gritty cross-trained staff: Most of our employees have been with us ten or more years. They’ll cancel vacations, work holidays, work during major snowstorms – whatever it takes to meet a deadline.